If you’re like me, oftentimes you feel like you’d love a robot to help do your chores. So what better way to treat our readers than by giving them a iRobot Roomba! This is a blogger funded event, with fees going towards the cost of the prize + advertising fees. If you’re interested in joining this exciting event, please fill out the form below! 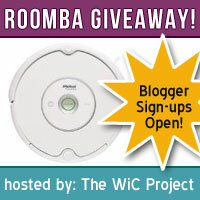 The WiC Project is excited to bring you our next giveaway - a Roomba giveaway! Dates: 12AM EST 8/1 - 11:59PM EST 8/14. Open to: US & Canada. Canada winners will receive an Amazon.ca Gift Card in lieu of the Roomba. 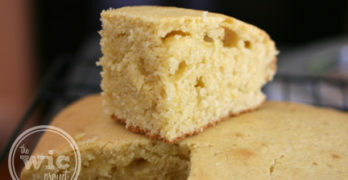 Sign-ups close on July 25, 2012 or at 30 bloggers - whichever comes first. - It's easy! Just post the provided giveaway text and code on your blog at 12:01 AM EST on 8/1/12, no later than 10AM EST. - Request to join The WiC Project Events Group where we will share important updates and event information. Don't worry, we will send out an email with all of the important information before the event goes live as well. 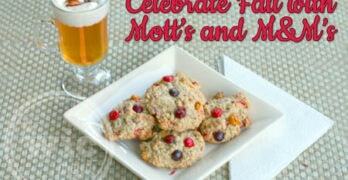 Tell your blogger friends to join! The blog with the most participating referrals will be the host for one of our social media follow pages. Want to sign-up? Just fill out the form below! If you were referred by another blogger, who referred you? After you click "Submit" you will be redirected to PayPal where you can complete the payment and reserve your spot in the event. Your spot will not be reserved unless payment is received. Love the Roomba Robot to do my housecleaning.I am middle aged and sometimes its hard to bend down.